Rock ‘n’ Roller Coaster Starring Aerosmith is filled with clever gags that play with the rock and roll genre, in particular the songs of Aerosmith. The queue is littered with plays on the name rock ‘n’ roll, including Lock ‘n’ Roll Parking, Rock Rack Magazine, Rock ‘n’ Rollaway dumpsters, while songs by Aerosmith are also highlighted, such as payment instructions for the parking lot including the instructions “Swipe Card and Just Push Pay,” a nod to the band’s song Just Push Play. Yet, underneath the glitz and glamor of rock ‘n’ roll, there’s also a nod to a longstanding Disney name. As you leave the recording studio and make your way down to your super stretch limo, you are given very little room with which to maneuver due to the construction taking place. The fencing forms your own personal rock ‘n’ roll tunnel, and is provided the Buena Vista Fence Co. Buena Vista is fairly common when it comes to the world of Disney. 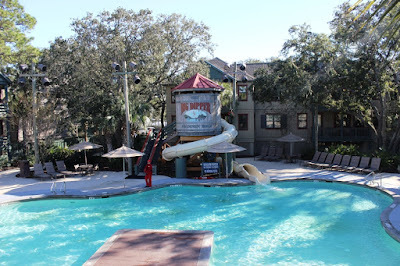 In fact, part of Walt Disney World itself is located inside of Lake Buena Vista, though the lake itself was known as Black lake before Disney moved in. As always, there’s more to a name, and this sign. 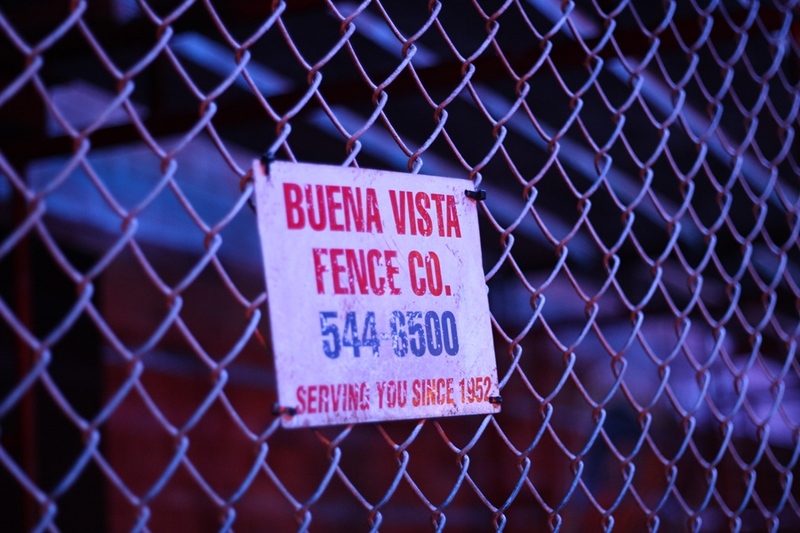 The sign for Buena Vista Fence Co. states that they have been in service since 1952. In reality, Buena Vista was the distributor of Walt Disney Studios beginning after Peter Pan’s release in 1953, although the subsidiary was set up in 1952 and some of the existing contracts with RKO Pictures required pictures to be distributed under their banner until 1956. Buena Vista remained a primary distributor for film and television through 2007, when many of the Buena Vista brands were given more readily recognizable names, such as Walt Disney Motion Pictures and Disney-ABC Domestic Television. The name Buena Vista comes up in a smattering of other places as well. There is the above mentioned Lake Buena Vista. 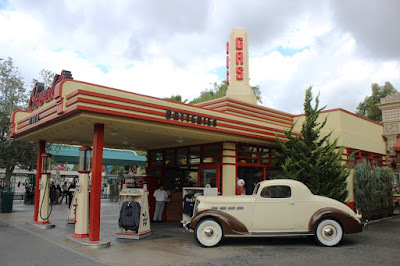 Guests of Disney California Adventure can also walk down Buena Vista Street, the front area of the park that acts as California Adventure’s Main Street, U.S.A. The real Buena Vista Street, however, can be found in Burbank, CA and includes, among its other residents, the Team Disney headquarters. 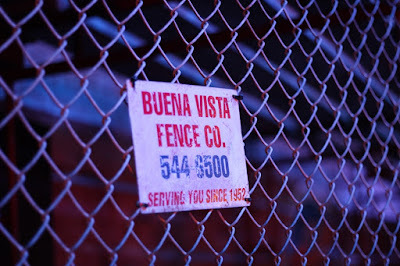 There is one last little tidbit from the Buena Vista Fence Co.’s sign that we should acknowledge, and that is their telephone number. Provided as 544-6500, the number leaves out the area code. While Orlando’s area code may be 407, Rock ‘n’ Roller Coaster has transported us to California where we would be much better off using the area code 818. Why, you ask? Because when paired with the number we are given on the sign, we would be put straight through to the front desk of Walt Disney Imagineering. I do wonder how many smart-alecky people with Google and an itch dialing finger have called this number while in line looking for fencing. There are a ton of puns and a lot of clever wordplay to be discovered throughout the queue of Rock ‘n’ Roller Coaster Starring Aerosmith, most a play on words with rock ‘n’ roll as the star or having a significant tie to an Aerosmith song title. The Buena Vista Fence Co. serves to remind us of who has built the imaginary world we’re walking through. And I must say that they build a fairly sturdy fence! In recent years, we've seen Walt Disney World turn a day of celebrating true love and commitment into a focal point for villains. Sometimes all a villain really needs is a hug and someone the bow down to their every whim, and what a better way to say I serve only you than through a proclamation during Villaintine's Day! It's a fun way to stretch outside of the typical Valentine berm and inject some fresh blood into the mix. That said, I'm still partial to the romantic side and original intent of the holiday. With that in mind, let's tiptoe back into the archives and talk about when Walt Disney World had a special party just for the occasion! When thinking of holiday events at Walt Disney World the two that jump right out at everyone are Christmas and Halloween, in particular the special parties put on by the Magic Kingdom. Certainly, there are special meals for Thanksgiving, egg hunts for Easter, and a variety of offerings for St. Patrick’s Day, Valentine’s Day, Earth Day, and all the other holidays in between, but they aren’t given the special attention that Christmas and Halloween parties afford their namesake days. That said, that wasn't always the case. During the early years of Walt Disney World, and dating back even further at Disneyland, special ticketed parties occurred all year long. 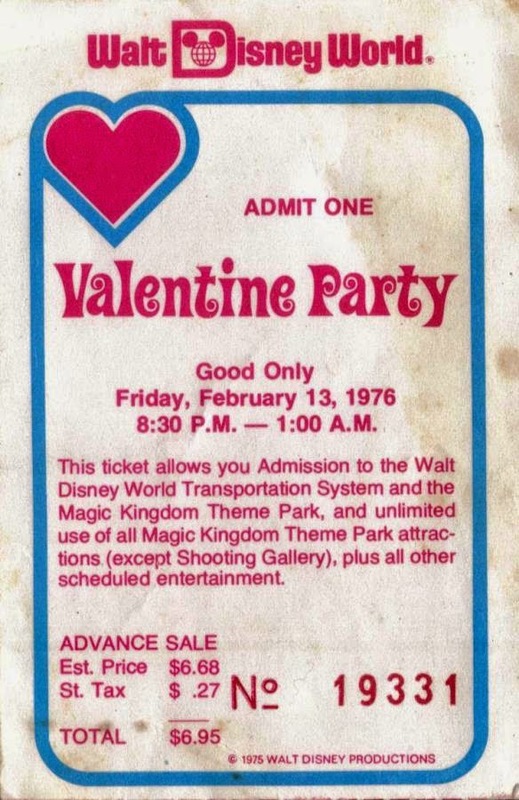 Take, for example, this ticket for the Valentine Party from 1976. The party in 1976 actually took place on the day before Valentine’s Day, on Friday the 13th, the same way the holiday falls this year. Like the holiday parties of today, the park would close and guests were given run of the park’s attractions and there was special entertainment. In 1976, the entertainment included performances from the gospel/soul/R&B group, The Staple Singers. It may make me smirk that the Shooting Gallery still required an additional charge, but the overall cost of the event, $6.95, would have been a bargain any day of the week. In fact, it was roughly the cost of 5 gallons of milk that same year. How many of us wouldn't love to get into the Magic Kingdom’s holiday parties in 2015 for that same comparative price?!?! The parties for other holidays may have faded away with the passage of time, but there are still plenty of ways to celebrate special days at the parks of Walt Disney World. Party or not, how would you celebrate the day at the Magic Kingdom with your valentine? Brunch is a sacred meal around my house. We don’t go out for it as often as we would like on the weekends, and we don’t prepare it in our own kitchen nearly enough. It is one of those meals that we have specific places where we know we’re going to get the best of breakfast and lunch, and it is a special treat when we are able to get up, out of the house, and spend a quiet meal gobbling up some of our favorite dishes. It is rare that we take the time for brunch when we’re at Walt Disney World, but Raglan Road has a brunch dish that I just couldn’t stay away from. The brunch entree is called the Full Irish, and it certainly lives up to its name. 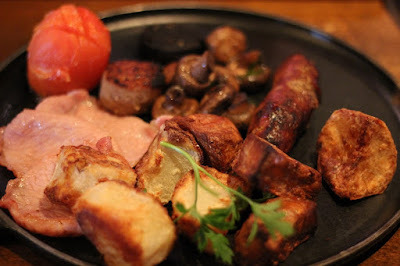 The menu lists the elements on the plate as sausage, black pudding, white pudding, bacon, roasted tomato, mushrooms, fried egg, and roasties. I should clarify a couple of the items listed there. The bacon is true bacon, meaning it is much more akin to country ham than to the typical buffet, breakfast, grocery store bacon. Roasties, meanwhile, is just a simplified term for roasted potatoes. Lastly, as I am not a fan of eggs, you’ll notice this review is sans the fried egg. Let’s start with the most common elements found on the plate. The sausage is flavored well with savory spices and isn’t thin and floppy like many breakfast sausages. The grilled mushrooms are spot on and tasty, and the same can be said for the juicy grilled tomato, although I think my tomato could have spent a couple of more seconds on the grill just to be safe. The roasties are similar to hasbrowns, but definitely cut thicker. I liked how dry they were, but I can see how the egg would make them more palatable for others. The bacon is thick cut, salty, and wonderful. Seriously, you couldn’t ask for more out of the bacon. Moving on to the two components that probably confuse or make most Americans a little nervous, the black and white puddings, but let me help ease your trepidation. Actually, I’m probably going to scare a few more of you right at the start, but stick with me. Black and white puddings are very similar in many respects, except that black pudding contains blood as one of its ingredients. The squeamish among guests is probably why they don’t refer to the black pudding by its more common name, blood pudding. These are, for lack of a better description, another form of sausage. The contain pork, sometime beef, oats, and spices that are prepared and then kept for future consumption. They are very savory, especially the white pudding, and are delicious. The black pudding has a bit of a metallic twinge to it, but it isn’t as noticeable as you would think. While these are not traditional American breakfast staples, they date back to medieval times, so you know that chefs have had plenty of time to perfect their recipes. I am half Irish and my wife is one-hundred percent Irish, and this breakfast hits us in all the right comfort food places! There may be one or two unfamiliar items on Raglan Road’s Full Irish that cause you a bit of hesitation, but I promise the flavors, smells, and satisfaction this meal will bring you should definitely outweigh any hesitation you might have. There are several wonderful brunch spots scattered around Walt Disney World, and Raglan Road has assuredly earned its place at the table. Slinky Dog Dash and Toy Story Land are the new shiny toys of Disney’s Hollywood Studios, at least until the arrival of Galaxy’s Edge and Mickey & Minnie’s Runaway Railway. Every attraction has its day and then it settles into its routine after a couple of years or the next big attraction comes along. That’s not always a negative, Space Mountain has been around since 1975 and still draws some of the biggest crowds in the Magic Kingdom. It is the lifecycle of attractions, but on rare occasions an attraction can reemerge in its popularity, and we’re all the better for it. The toys are back in town in a big way right now, they have a new land of backyard wonder that opening in Disney’s Hollywood Studios in 2018. 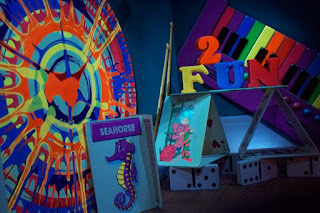 It reversed how guests enter one of its headlining attractions, Toy Story Mania, the Midway portion of the name vanished in 2018, while adding to the dining and attraction offerings found in this corner of the park. Toy Story Land is the area of the park that guests flood into first thing in the morning and Slinky Dog’s Dash has become the Fastpass to acquire ahead of your trip. And all of this means it’s time for Toy Story Mania to up its game, literally. 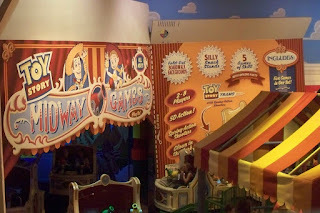 When Toy Story Mania first opened in 2008 it included six carnival style 3D games, Pie Throw Practice, Hamm & Eggs, Bo Peep’s Baaa-loon Pop, Green Army Men Shoot Camp, Buzz Lightyear’s Flying Tossers, and Woody’s Rootin’ Tootin’ Shootin’ Gallery. Just two short years later, however, Bo Peep got the crook and was replaced by Rex and Trixie’s Dino Darts in May of 2010. This change was to include characters from the upcoming Toy Story 3, which would be arriving in theaters in June of that year. Trixie wasn’t the only addition from the film, Buttercup, Lotso, and others appear as either in-game characters or in artwork visible throughout the attraction. I’ll be completely honest, I’m not big on screen-based attractions as a whole. 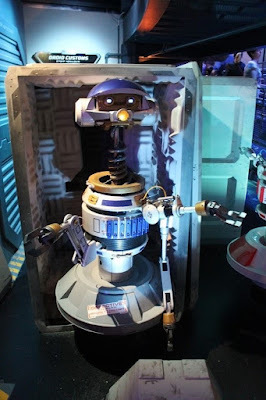 Certainly attractions like Star Tours and Flight of Passage have their places in the world of theme entertainment, but I really love tangible environments. 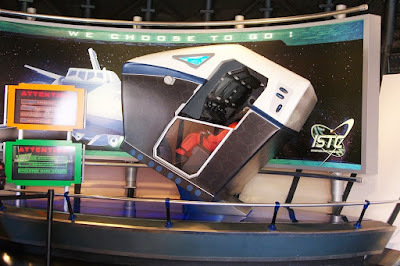 Toy Story Mania is fun, aside from the arm cramp it gives me, but there’s something special about Buzz Lightyear’s Space Ranger Spin that Toy Story Mania doesn’t have in my book. 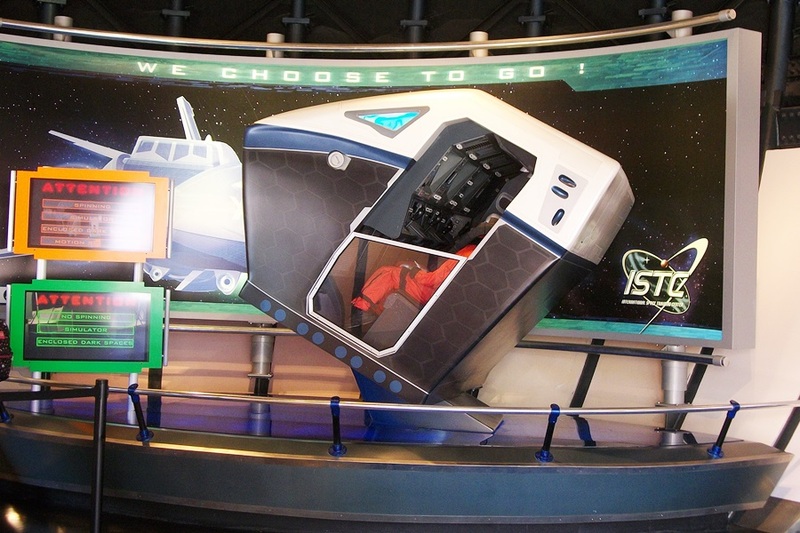 There is a way in which Toy Story Mania is superior to Space Ranger Spin, and we alluded to it just above, it is in its ability to change out games. The ability to incorporate characters, thematic elements, and new types of games is a wonderful way to keep Toy Story Mania fresh. It’s been almost ten years since the last refresh and with Toy Story 4 hitting theaters this summer, I’m willing to bet that a new game is on the horizon, but maybe not as soon as everyone thinks. With the new land being such a hit, there isn’t anything driving Disney to keep attendance up at Toy Story Mania. Give it another year or two and then I believe we’ll see a plussing of the current offering of games. Could Bo Peep make a triumphant return, as she appears primed to do with the film series? It’s possible, but I’m willing to put my money on two other grizzled carnival game veterans, Bunny and Ducky. 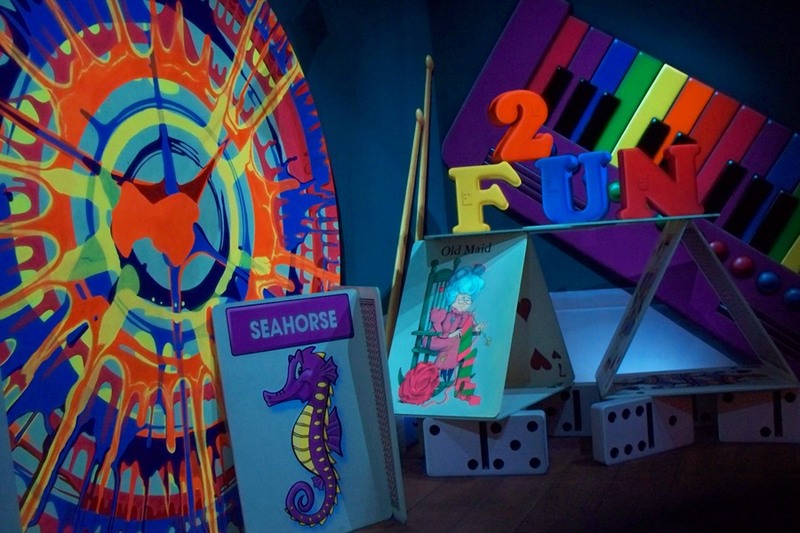 The game, which there are still plenty of carnival type games not currently found in the attraction, could slot in where Green Army Men Shoot Camp is, or possibly even in place of Hamm & Eggs. I think Buzz and Woody are definitely safe from any upgrades, as would be Rex & Trixie’s Dino Darts, considering it was the most recent addition. The pair of Bunny and Ducky, portrayed by Jordan Peele and Keegan-Michael Key respectively, have made two appearances so far. Light spoilers ahead for anyone wanting to not see anything toy Story 4 before they get to the theater. In one it is a reaction to the teaser trailer that had been released and an argument around what exactly is said in Buzz Lightyear’s “To infinity…” catchphrase. In the second, the tv spot that aired during the Super Bowl this past weekend they get up close and personal with Buzz on a carnival prize rack. I don’t know when, or even if, Toy Story Mania will be rotating in a new game anytime soon, but it was one of the selling points of the original attraction, the ability to slot in a new game with relative ease. With Toy Story ramping up in popularity again, it would only make sense to begin planning for a possible exchange of games. Especially when you have a dynamic duo perfect for making the jump from the big screen carnival to the game screen carnival.